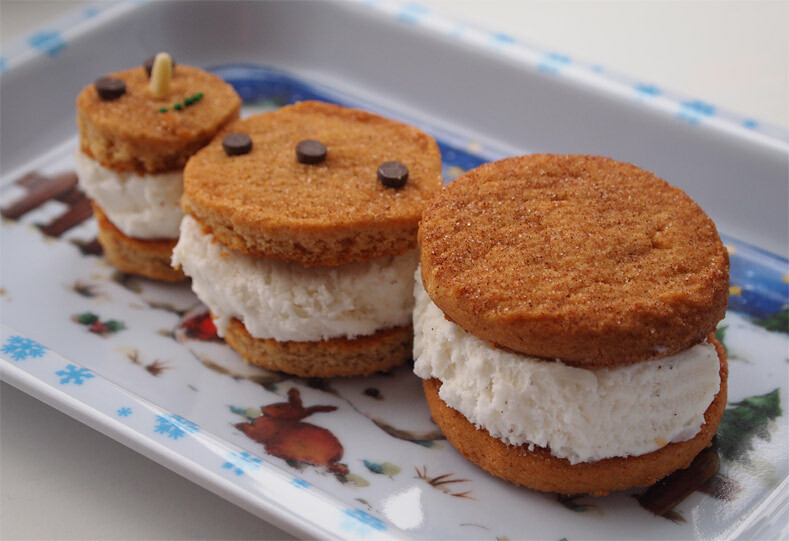 Ok, so we made this our holiday themed episode, so I figured I'd throw up this snickerdoodle snowman ice cream sandwich I made this weekend. Yeah, sometimes I think I try to hard. See, way back during episode 13 we talked about Carl's Jr test marketing a snickerdoodle ice cream sandwich so I thought I would be sneaky and make them myself... that was until I lost the cookies in the back of the cabinet. It's now a month past the "Best By" date, but I gave it a whirl anyway. Ahhh, it was still fun, though in hindsight I should have rolled this bad boys in mini chocolate chips for good measure. Anyway, enjoy the show. Nosh or not is there, our picks of the week (mine here), our fun holiday question section, and as always, there are more download/listening options on the nosh show website. Everybody have a great holiday and we'll see you back here in two weeks for our end of year wrap-up!